The conference tours were selected for their alignment with the conference them "Stop Talking, Start Doing!" Each of the tours demonstrates innovative approaches to taking practical action in the water sector, demonstrating new technologies and techniques that have stopped 'talking', and are currently 'doing'! All conference tours will take place on Wednesday 18th November 2015, from 1pm to 5pm, after the close of conference and awards luncheon. Space is limited on conference tours, and slots are allocated on a first-come first-serve basis. To register for a conference tour, select which conference tour you would like to participate in during the online conference registration process. For conference tours that incur an attendance fee, the fees are indicated during online registration, but no fees cost more than R 150 p.p. The South African Council for Scientific and Industrial Research (CSIR) has developed a Sanitation Technology Demonstration Centre on its Built Environment Innovation Site in Pretoria, Gauteng. The development of this centre, a first in South Africa, was conceptualised and jointly funded by the Water Research Commission (WRC) and CSIR Built Environment. The aim of the centre is to provide practical and visual information on various sanitation toilet technologies that support sustainable human settlements. The demonstration centre will be a one-stop site for full-scale examples of some sanitation technologies. People who visit the centre will get first-hand information on existing and some new sanitation technologies. This will create a better understanding and appreciation of different and of alternative technologies. The targeted audience includes the general public, learners, communities, government officials, municipal councillors, non-governmental organisations (NGOs), technical professionals and the private sector. The Hartebeestfontein WWTP was built in 1977 and receives effluent from industries in Spartan and Isando and households in the Kempton Park area. The Hartebeestfontein works differs from the traditional activated sludge works in that it utilises a two-stage, two-culture activated sludge process. Each stage is a complete processing unit comprising of aeration, clarification and sludge return. The primary stage is aimed principally at COD (Chemical Oxygen Demand) removal and the secondary stage for nitrification. The initial comprised of three 10 megalitres per day treatment modules totalling 30 megalitres per day. In 1986 a side-stream PhoStrip (biological phosphate removal) plant was retrofitted. This was followed by the addition of a third inlet works module in 1992 and a single 15 megalitres per day treatment works resulting in a total treatment capacity of 45 megalitres per day. The works was recently refurbished at a cost of R65 million, including the building of a new balancing tank and the increase of reactor volume and aeration capacity. In 1995 a tertiary treatment system was designed and implemented to handle chemical dosing to ensure an even more effective phosphate removal. Effluent from the Hartebeestfontein works flows via the Swartspruit to the Rietvlei Dam. Bio-solids are land applied and ploughed in. ERWAT Laboratory services, a SANAS 17025 accredited laboratory, offers the water and wastewater industry a wide variety of services in the fields of chemical and microbiological analyses. It also provides expert advice on water-related problems. Laboratory support to the 19 WWTPs operated by ERWAT across the Ekurhuleni Metropolitan has been centralised into one facility located at the Hartebeestfontein Office Park. Samples from ERWAT’s wastewater treatment plants are analysed daily to comply with Green Drop requirements. In addition, the laboratory provides analytical support to the Ekurhuleni Department of Water and Sanitation and routinely analyse all drinking water samples collected by the Metro. Johannesburg Water has to ensure that all wastewater discharged into its sewers and conveyed to its treatment plants is treated to the highest standards before being discharged into the natural environment. As part of the process to ensure that the wastewater is conveyed to treatment plants without leaking into the environment, Johannesburg Water cleans 144 km of sewers and clears more than 3 000 sewer-blockages every month. There are six wastewater treatment plants across the city, the largest being the Northern Works. It treats 400 million litres of wastewater every day from around 1.6 million people. The treated effluent from this Northern Works is either discharged into the Jukskei River, used to irrigate Johannesburg Water’s farm lands, or pumped to the Kelvin Power Station for use as cooling water. This ensures that expensive, high-quality drinking water is not used for this purpose. The Northern Works makes use of a sophisticated locally developed technology which uses natural biochemical processes. City scientists and engineers have, over many years, developed and refined a biological wastewater treatment process that removes organic pollutants as well as nitrogen and phosphorus. The system is recognised internationally as the "Johannesburg Process". In addition, Johannesburg Water has found a use for the 100 000 dry tons of wastewater sludge produced yearly at the treatment works. Johannesburg Water produces a compost by-product – JO-GRO – made from the sludge and waste wood from the tree-felling industry. The technology to convert sludge into compost was adapted from technology used by many US cities. JO-GRO is free of disease-carrying organisms and a good product in horticulture and agriculture. As well as containing the usual plant nutrients it contains trace nutrients and agents that suppress plant diseases and pests. Northern Works is currently subject to a long-term expansion project which will see the provision of first-class wastewater treatment catering for any increased demand in capacity. The design and construction includes the use of the most modern equipment, machinery and technology. 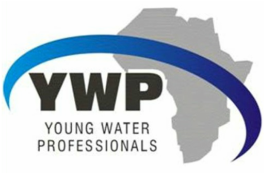 Achieving distinction by connecting all young water professionals striving for personal and professional evolution.